GEaRing up for SUMMER 2019! 1. an escape from everyday life. 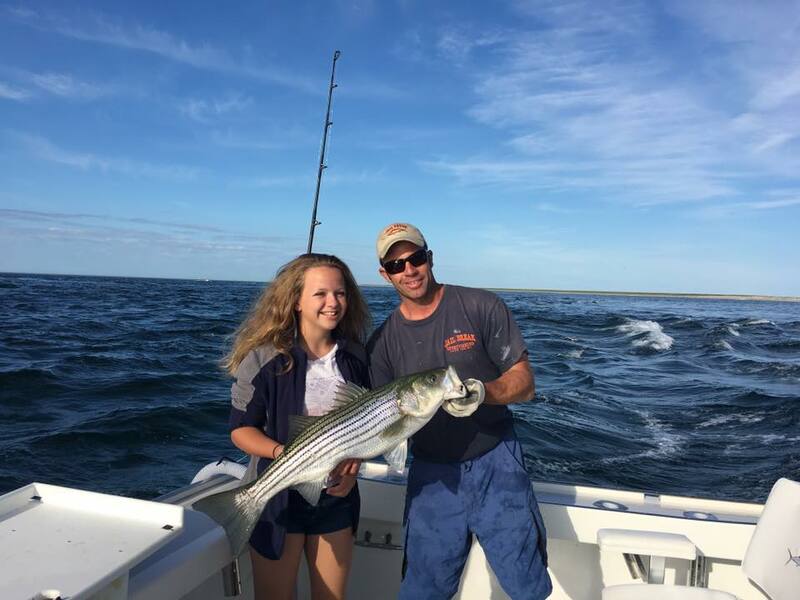 Come with us for a 'JAIL BREAK' and enjoy the best fishing on Cape Cod aboard our 42' Duffy. 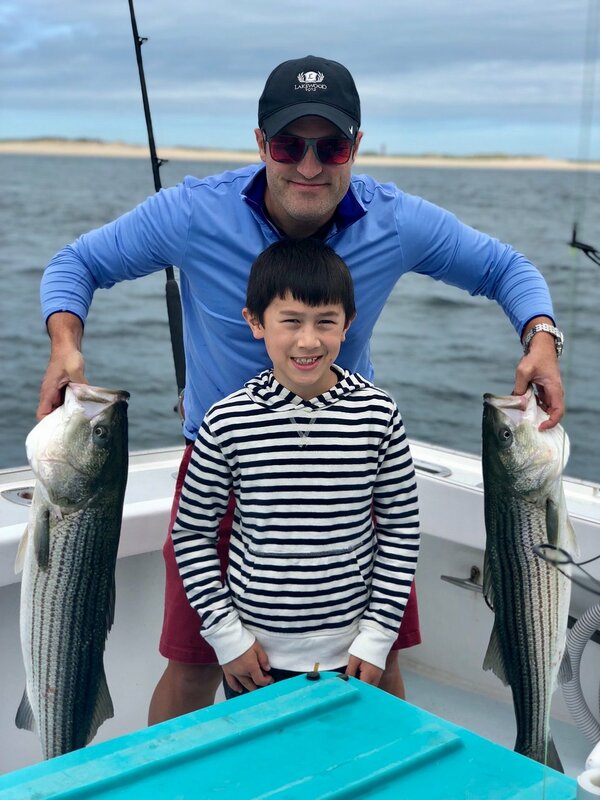 The migrating schools of striped bass and bluefish inshore will keep your rod bent and your arms tired. Or, if you are up for the challenge, go offshore to battle bluefin tuna and shark. 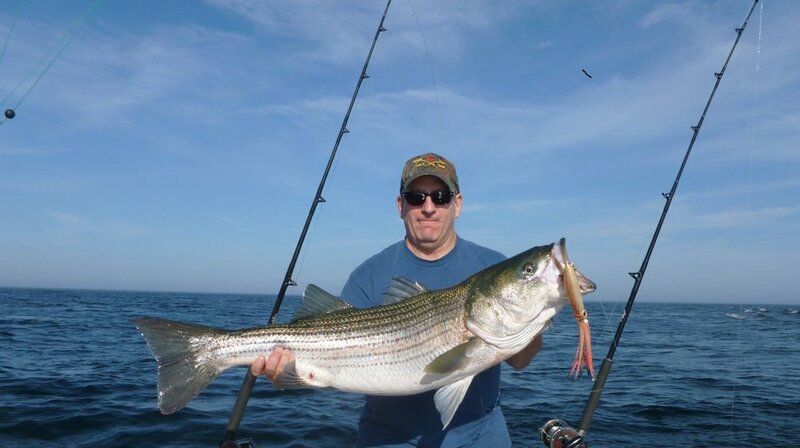 Jail Break Fishing Charters offers half and full day fishing trips leaving from Saquatucket Harbor in Harwich Port, MA. Captain Seamus Muldoon is owner/operator of Jail Break Fishing Charters, which he named after his first mate emeritus, Duffy, a chocolate Labrador. Holder of a US Coast Guard 100 Ton Masters License, Seamus possesses over 25 years of fishing experience, prowling the waters from the Gulf of Maine to the Keys of Florida. The Jail Break is a 42' Duffy that is outfitted with custom tackle, TV, air conditioning/heat, bathroom/shower facilities, top-level electronics, and the newest first mate, a chocolate labrador named Fiona. It’s time you took a Jail Break!